リンク: ▶ Roger Federer and Justine Henin Topspin backhands - YouTube. リンク: ▶ 【Fukky'sインプレ】HEAD Graphene Radicalシリーズ - YouTube. リンク: ▶ 【YONEX】EZONE AIシリーズ インプレッション - YouTube. 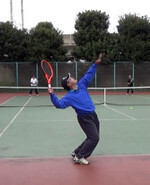 リンク: Mayo Hibi 2013 Easter Bowl ITF - YouTube.